In the last election for president, Donald Trump won Iowa by the largest margin of any Republican candidate since Ronald Reagan. He won with 51.1 percent of the vote over Hillary Clinton’s 41.7 percent. Ninety-three of our 99 counties voted for the president. A big part of that support came from Iowans concerned about the future of the United States Supreme Court. Recall that the vacant seat of Justice Antonin Scalia was at play in the election. Knowing how important this issue is to the American people, President Trump took the unprecedented step of providing a list of possible Supreme Court nominees from where he would choose his candidate. The president then followed through on that promise with the nomination of Justice Neil Gorsuch. We stand proud of Justice Gorsuch’s nomination, especially as Iowans, because the confirmation process was led by our own Sen. Chuck Grassley as chairman of the Senate Judiciary Committee. He was fair in conducting every proceeding, allowing ample time to both sides to make their arguments while standing strong against petty, partisan delaying tactics. He made us proud. We’re excited to do it all over again after the announcement of Justice Anthony Kennedy’s retirement. President Trump, once again, has delivered on his campaign promise by nominating a judge from his public list who is in the mold of the late, great Justice Scalia. Judge Brett Kavanaugh’s experience and preparation are second to none. He clerked for judges in the Ninth and Third Circuit before going over to work for Justice Kennedy at the U.S. Supreme Court. He was in private practice for a number of years, then served as associate counsel and senior associate counsel to President Bush. He has argued cases before appellate courts and the Supreme Court. He also served as an assistant and staff secretary to the president. That is just a sampling of his vast experience, and it is all before he spent more than a decade as a judge on the D.C. Circuit. Simply put, Judge Kavanaugh is an accomplished jurist with an impeccable reputation of fairmindedness. He has stood up for our religious liberties as guaranteed by the First Amendment, has acknowledged the government’s valid interest in choosing life over abortion, and has a strong free-speech record. This is an honorable man that is respected by people of all political persuasions. His humility was in full display at his announcement hearings where he was seen standing with his wife of 14 years and his two daughters. I loved seeing him high five one of his daughters. It was a genuine moment that opened the window for us to see a man known by his daughters’ friends as “Coach K” because of his volunteer work with their school’s basketball team. This image fits his whole life. Since the announcement, we have learned that he has continued that praiseworthy support of women throughout his career. A majority of his law clerks have been women. And they testify how helpful he continues to be throughout their careers. We are looking forward to seeing Sen. Grassley lead the way in the confirmation of a nominee of such great distinction. 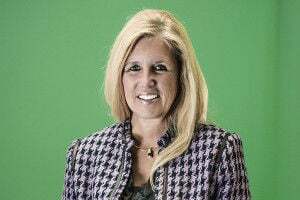 Tamara Scott of Norwalk serves as the Republican national committeewoman for Iowa. She lobbies in Washington, D.C., and in the Iowa Statehouse as Iowa director of Concerned Women for America.